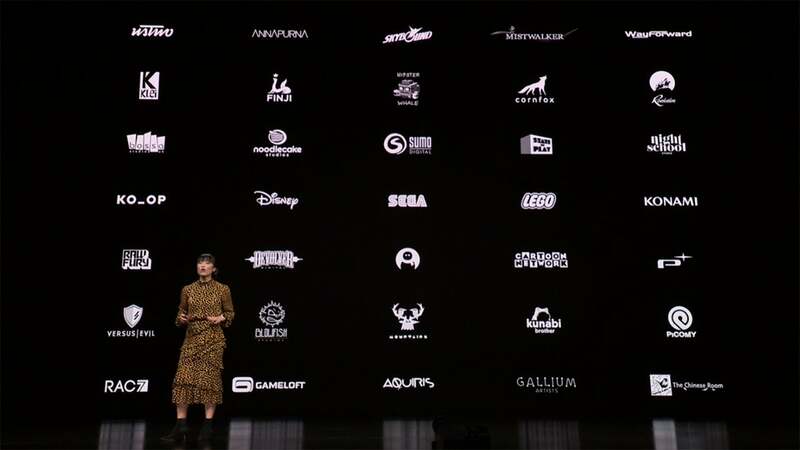 During a special event in Cupertino today, Apple announced Apple Arcade, a premium subscription game services for Apple devices, with a line up including games from developers including Sega, Konami and Final Fantasy creator Hironobu Sakaguchi’s Mistwalker. Coming this autumn to iPhone, iPad, Apple computers and Apple TV, Apple Arcade is a service that provides unlimited access to premium games for a monthly subscription. The service was introduced on stage with a video showcase game creators, including Hironbu Sakaguchi, showing off the gorgeous Fantasian. As well as handpicking games for the service, Apple is also contributing to the development of games for the platform. All games on Apple Arcade will be playable offline, and will feature no ads or in-app purchases. No pricing was announced for the Apple Arcade subscription service, which launches across Apple devices this autumn. The service will launch with more than 100 games, including Overland, Beyond A Steel Sky, Where Cards Fall, Sonic Racing and more. A list of developers onboard with the service. The official announcement, which calls Apple Arcade “the world’s first gaming subscription service for mobile, desktop and the living room.” also lists Ken Wong and Will Wright as creators contributing to the platform. It’s clear the service has piqued a lot of interest among developers. We’ll find out how it plays with gamers this autumn.